Out of a conviction that the “signs of the times” call for greater unity among Christians, and greater collaboration among all men and women of good will to build a more free and just society than the one that seems to be emerging in the “post-Christian” West, we invite you to become a founding member of a new Foundation. The Urbi et Orbi Foundation is dedicated to working to create a “strategic alliance” between Catholics and other Christians around the world, especially with the Orthodox, in an effort to “defend the West” by defending traditional Christian faith and values. We need you to become one of our 100 Founding Sponsors. Pope Emeritus Benedict XVI, is now 86 years old. He spoke beautifully and eloquently powerful words of faith, of self-sacrifice, and of holiness at a time when many did not want to hear those words. Pope Emeritus Benedict XVI was a lonely voice in our world. The vast cultural transformation which has occurred in the West since the 1960s has seen a dramatic decline in the public expression of the Christian faith throughout the West. Many of the traditions, values, beliefs, which once seem sacred and invulnerable to attack or change are now under direct challenge. Pope Francis continues with this desire to overcome a 1,000 years of division. 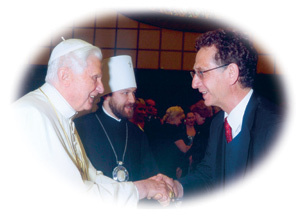 One of the great themes of Pope Emeritus Benedict’s pontificate was the theme of Christian unity, especially unity between Catholics and Orthodox—an end to the greatest schism in Christianity, dating from 1054 A.D. In his first homily as Pope, on April 20, 2005, he said his “primary” task would be to work tirelessly to unify all followers of Christ. He repeated that pledge May 29, 2005, on his first journey as Pope, to Italy’s Adriatic seaport of Bari—a pilgrimage site for many Russian Orthodox because it was the see of their beloved St. Nicholas—and called on ordinary Catholics to also take up the ecumenical cause. We wish to be among those “ordinary Catholics” who take up that cause. Our Vision. Our Plans. Our Invitation to Step Forward. The vision of our new Foundation may be summarized as: “Let us work together to defend our common beliefs.” We invite you to step forward with us. If you who wish to be a member of this Foundation, contact us and we will enroll you. You will receive regular reports on what we are doing. No money is required to join but we need financial support, some initial “seed money” to launch this initiative. We are hoping to find 100 “founding sponsors” of this new Foundation, each of whom will pledge $2,500, for a total initial amount of $250,000. We invite you to become a Founding Sponsor. Any amount will be helpful, so send what you can. With these funds, we will be able to launch our work to build an alliance with the Orthodox. 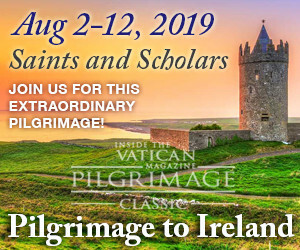 The initial 100 donors will be enrolled as Founding Sponsors and invited to and made aware of often private meetings with Catholic and Orthodox leaders ranging from Cardinal Peter Erdo of Budapest, Hungary, to Metropolitan Hilarion himself, in venues ranging from Rome to Washington to Budapest to Moscow. All contributions are tax-deductible under U.S. law; we will send a receipt from our 501(c)(3) non-profit to be used for your tax filing purposes. I would be grateful if you would join with me in this initiative. Contact us today to join our strategic alliance of Christians worldwide. 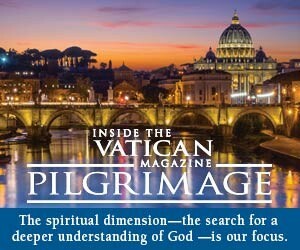 Urbi et Orbi Communications e-mail • 1-202-536-4555 or Join Now!